Welcome events for first year students have changed a lot over the past 110 years at the University of Alberta. Today, the Week of Welcome for new students features concerts and pancake breakfasts. 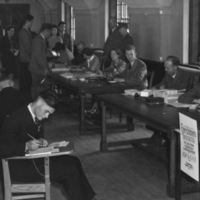 When the university first opened student orientation included the expected campus tours and course registration,as well as a freshmen initiation that could last for weeks. 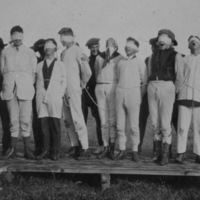 Initiation of first year students, or “freshies” and “freshettes” as they were called, by upper class students started as soon as the university had upper class students. In The Gateway’s inaugural issue on November 21, 1910, there was talk of a successful initiation of first years. 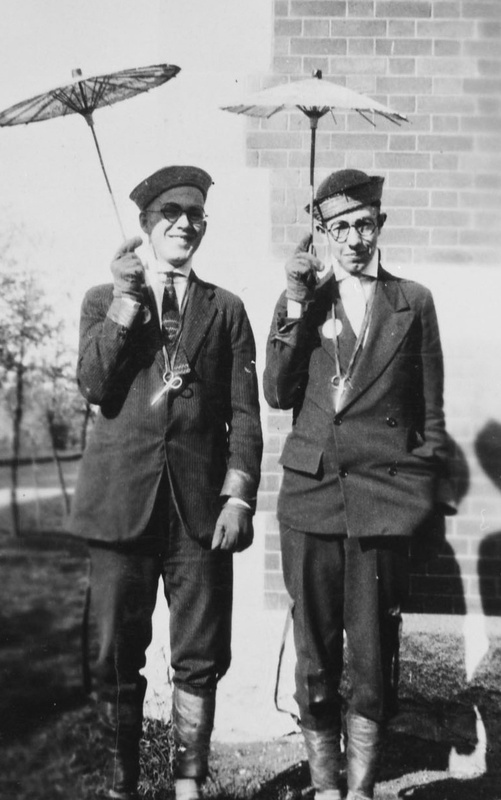 The second year students, or “sophs,” short for “sophomores,” were responsible for initiation for the following two decades. 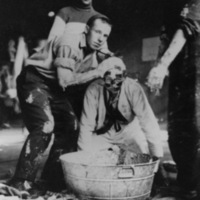 Support for initiation by the administration and regulations around initiation ebbed and flowed over the years until it was brought to a somewhat abrupt halt in 1933 when a student’s father sued the university over the damages initiation had done to his son. After that, initiation ceremonies became formalized as Freshmen Introduction Week and any remnants of the initiation of the early years slowly faded away. The Gateway, vol. 1, no. 1, November 21, 1910, p. 9. Macdonald, John. The History of The University of Alberta: 1908-1958. University of Alberta, 1958, p. 38. 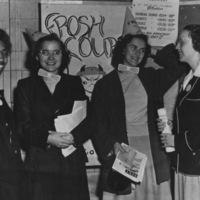 "The Wauneita Society," Web exhibit by the University of Alberta Archives, 2015. "Freshettes Formally Freed from Fetters," The Gateway, vol. 12, no. 2, October 20, 1921, p.7.